Brand: NAD'S | Manufacturer: Lifesource Group US, Inc. Strips do not contain wax, they are to be used along with a soft hair removal wax. to meet every waxing need of men and women for any and every area of the face and body. The soft feel and smooth surface mean these pure white strips are some of the very most comfortable and effective strips available. 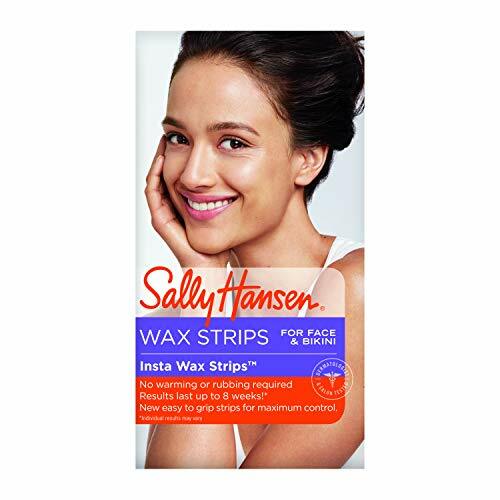 Insist on the best-insist on Begin Salon Quality Non-Woven Wax Strips. 1. Exfoliate Before Each Waxing Session thoroughly clean the skin before applying the soft wax for maximum hair removal. 2. Test the temperature of the wax before applying it to more delicate areas. 3. Remove the Hair in the Right Direction while Keeping the Skin Taut Dip the applicator into the soft, warm wax and apply it to the skin in the same direction as the growth of the hair. Do not allow the wax to harden before applying. Press the material down firmly in the same direction as hair growth. With one hand, hold the skin tight, and with the other hand, pull the strip in the opposite direction of the hair growth. 4. Using a moisturizer is a tip valid for shaving, epilation, and of course waxing. Please Note This product is made for using with hot wax.Wax Not included! Meets Every Waxing Need. With two different sizes available (Small measures: 1-1/2 inches W x 4-7/8 inches L; Large measures: 3 inches W x 9 inches L), the Begin Salon Quality Non-Woven Wax Strips meet every waxing need-for both men and women alike. The small and large sizes allows for just the right size for everything from brows to faces to bikini and everything in between. Professional Quality. The professional quality Begin Salon Quality Non-Woven Wax Strips is identical to that of those preferred by professional salons, at a fraction of the price. The pure white, no-tear strips is unrivaled by other imitators on the market. Go for the wax strip choice the professionals insist upon. Clean and Hygienic. 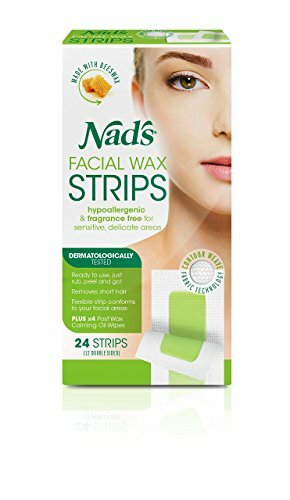 These disposable wax strips from trusted brand Begin brand keep waxing healthy, clean, and sanitary. Simply throw away each strip after using it and begin with a fresh hypoallergenic strip as needed. Ultra Comfortable and Effective. 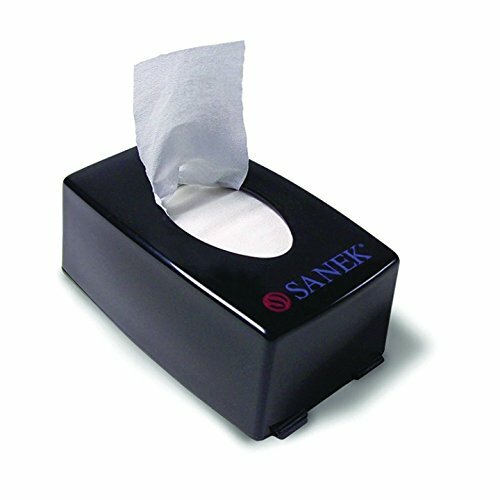 The soft feel of the Begin Salon Quality Non-Woven Wax Strips combined with the smooth surface and no soft flocks drop combine to make these professionally preferred strips ultra comfortable and ultra effective. Achieve long lasting smoothness with a process that's as pain-free as possible. Superior Value. Both the small pack of Begin Salon Quality Non-Woven Wax Strips and the large pack each contain 100 strips a piece. Don't overpay for inferior products. Stick with the trusted, proven effectiveness of Begin Salon Quality Non-Woven Wax Strips. 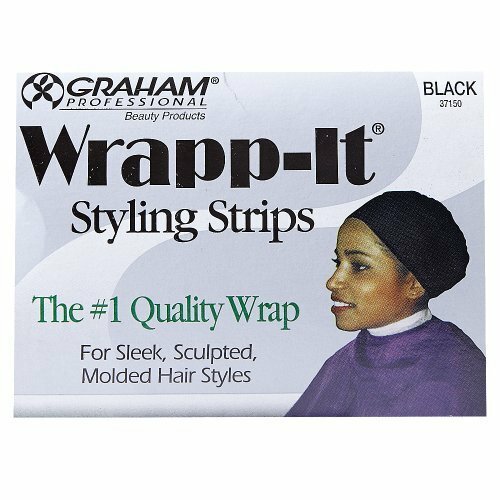 Wrapp-It Black Styling Strips are designed to hold wrap hairstyles in place during the drying process. 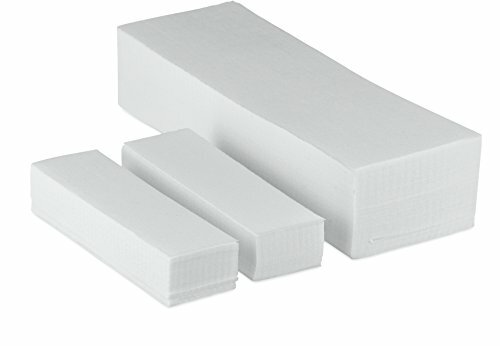 All-in-One Ready-to-Use Wax Strips. 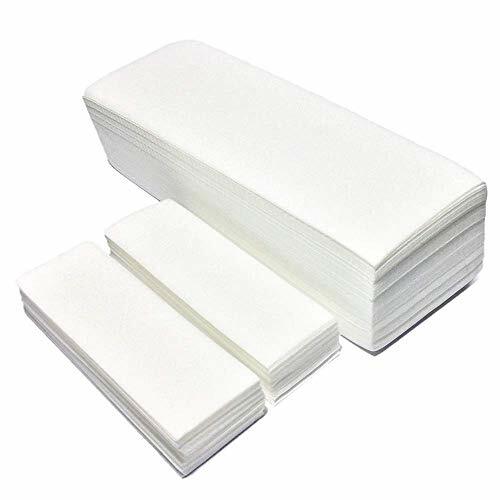 20 large (7.2*3.5 inches) and 24 small size (4.0*2.0 inches) double sided Strips, 6 count specialized post wipes, to moisturizes and soothes your skin and help remove wax residues. Natural Waxing Strips Ingredients: Made of high quality extract of Aloe Vera beeswax, etc. Mild and gentle to skins. 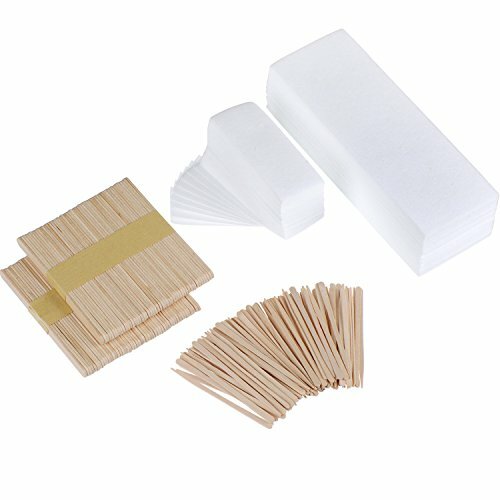 Efficient Wax Strips Kit. Removes fine and medium hair as short as 2mm for facial, bikini and body parts. Please follow the instructions step by step. For the large size strip, please cut it to smaller pieces and apply to your body parts with hairs unwanted. Non-woven fabrics strips. 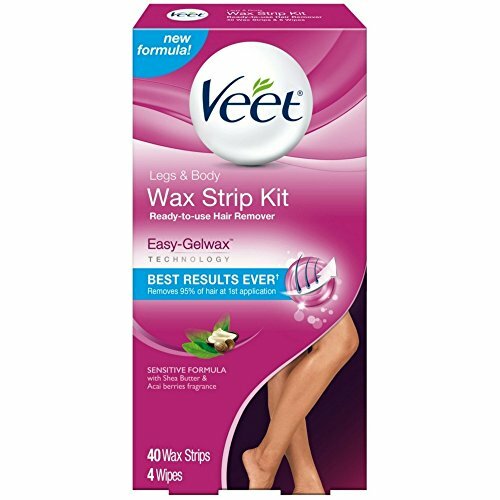 The wax strips are soft and flexible to conform to body curves. Meanwhile, the fabric is antibacterial, non-toxic, breathable and environmental. Long Lasting and easy to use. Three simple steps: rub , waxing and go! It can last up to 8 weeks. 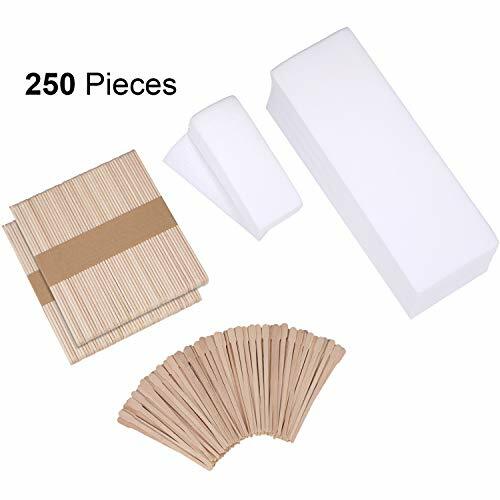 The package includes 200 pieces non woven wax strips in 2 sizes, each size for 100 pieces wax strips, and 200 pieces wax applicator sticks in 2 sizes, each size for 100 pieces wax applicator sticks, enough for your use. Step 1: clean the skin, trim the hair and cut the hair to 0.5 - 1.5 cm. Step 2: prepare the hair removal wax, use wax applicator sticks coated with hair removal wax to smear along the direction of hair growth. Step 3: stick on the wax strips along with the growth of hair. Step 4: smooth the hair removal wax paper, don't wait, just tighten your skin, tear off the wax strips against the direction of hair growth. Step 5: use warm water or wet paper towels to remove excess hair removal wax, coated with some skin care products. We know home waxing can be a gamble -low quality waxes can be difficult to work with, leaving skin irritated & inflamed for days afterward and often delivering nothing more than a patchy waxing job for all your hard work. We've formulated our FDA-approved European hard wax with natural ingredients that are gentle to wax hair even on sensitive skin, minimizing irritation & inflammation. Unlike many home wax brands, whose wax melts only at high temperatures that make them brittle & results in difficult, uneven waxing, our wax formula has a uniquely low melting point, so it stays pliable and is easier to work with for a more thorough wax. You'll get a smoother application that glides easier on the skin than most other waxes. Our self waxing kit for women & men is ideal paired with our Warmer Kit, to tackle face hair growth, arms, eyebrow, leg wax, bikini wax & body wax! At Tress Wellness, our goal is to empower customers to achieve smooth, flawless skin with professional wax tool kits & wax accessories. Our hair remover wax is made to be the best quality home hot wax hair removal kit. If you don't love your hair wax kit or hair wax beads, please contact us directly. NO MORE PAINFULLY HOT WAX! We've heard many stories of low-grade home waxes that have to be torn off in chunks, for a painful, patchy wax. We formulated our wax to have a uniquely low melting point, so it's pliable, easy to handle & thorough. NO MORE PROLONGED IRRITATION! Unlike the average hard wax kit that leaves skin irritated for days, our wax beans minimize irritation with natural ingredients. This unique kit includes our signature pre wax spray to prep skin & post wax remover spray to soothe. EASY TO APPLY! Non professional home waxing kit quickly becomes frustrating. Our hair removal wax glides easier on the skin than most waxing beads for waxing hair, delivering better results with less stress! 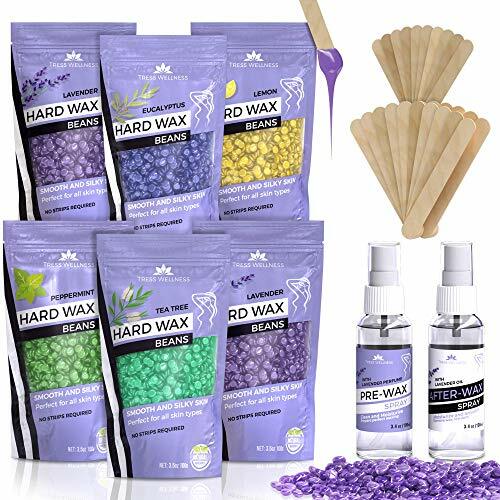 THE KIT INCLUDES 6 WAX BEAN BAGS 3.5oz EACH, 3.4oz Pre Wax Spray, 3.4oz After Wax Spray, 20 large spatulas, 10 small spatulas. Scents for bean bags are - 2 lavender, lemon, eucalyptus, tea tree peppermint. All 100% natural and non toxic. Perfect for for brazilian, bikini line, leg & spa wax! WE PROMISE SMOOTH SKIN OR GET 100% MONEY BACK! Achieve smooth skin with our pro wax removal kit. if you don't love our painless waxing kit for women & men, contact us directly & we'll make it right. 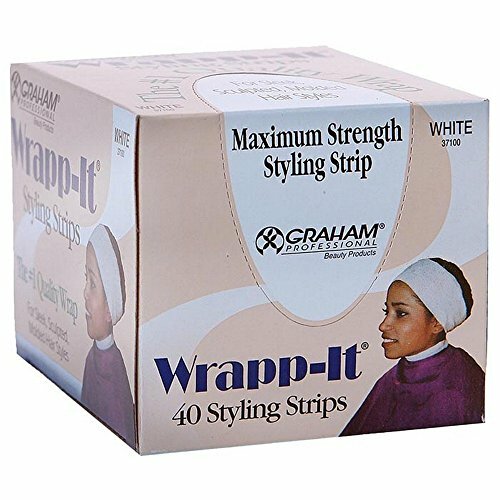 Wrapp-It White Styling Strips are designed to hold wrap hairstyles in place during the drying process. What is it? Parissa Men s Wax Strips, pre-lined wax strips for instant hair removal. 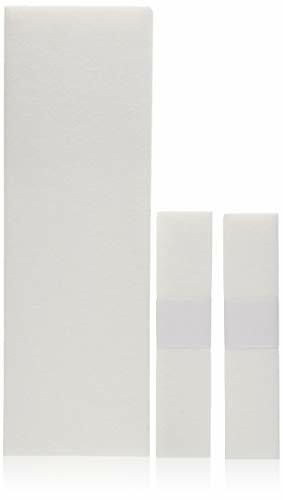 These wax strips are larger sized, perfect for chest, back and body. Who is it for? Formulated with tea tree oil for men s hair and skin. Perfect for first time waxers, this is quick and easy waxing. How do I use it? Parissa Wax Strips are the easiest type of wax to use. Simply press-on and zip away for salon results. Warm strips between your hands, slowly separate wax strips, press on in direction of hair growth and zip off in opposite direction. That s it. Your kit includes detailed photo instructions, please read them as technique is key. But don t be shy get in touch if you have questions! We re here to help. All Parissa Salon Waxes: Previously shaved hair is stubbly & resistant. Wait for 2 weeks hair growth ( cm or ) before waxing. Do not bathe, wash or clean skin before waxing. The skin s natural oils provide a buffer between wax and skin. Sparingly applying light talc powder is also an option. Remove any wax left on skin with the Azulene aftercare oil included in the kit. Parissa Wax Strips: Warm strips gently between your hands. Slowly peel apart. Always apply strips in the direction of hair growth. Zip away strips in opposite direction. Speed is key for the best results. Always remove strips quickly and in one motion. Never pull straight up, pull backwards and stay close and in parallel to the skin. Keep the skin taut while removing the strip, this avoids movement of the skin and helps reduce discomfort. Why we love Parissa Wax Strips: Parissa Wax Strips provide instant, effective, mess-free hair removal. No experience needed. Use them anywhere or anytime you need instant salon results. Easy to use: Great for beginners. Just 2 simple steps: Press on & zip off. Waxing strips provide fast, effective, mess-free hair removal. The wax is already on the wax strips. A ready-to-use waxing strip for body hair removal. Salon-Quality Wax: Effective resin based professional style wax, removes fine to medium body hair. Contains Tea Tree extract which is an antiseptic and inhibits breakouts and ingrown hairs post waxing. Residual wax easily wipes away with oil. All Natural Ingredients: Parissa wax is made from natural ingredients. No plastic, the backing on the strip is made from eco-friendly cellulose, so it breaks down in the environment. Long Lasting Smoothness: Hair removal lasts for weeks longer than shaving. Waxing removes the hair from the root, regrowth becomes sparser over time. 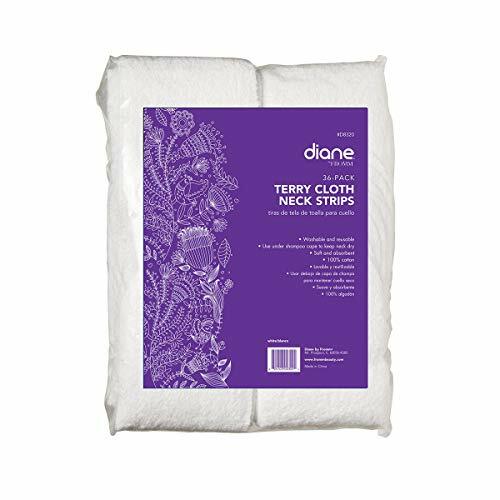 Diane Terry Cloth Neck Strips are washable and reusable. Soft and absorbent. Use under shampoo cape to keep neck dry. 100% cotton. Pack of 36. 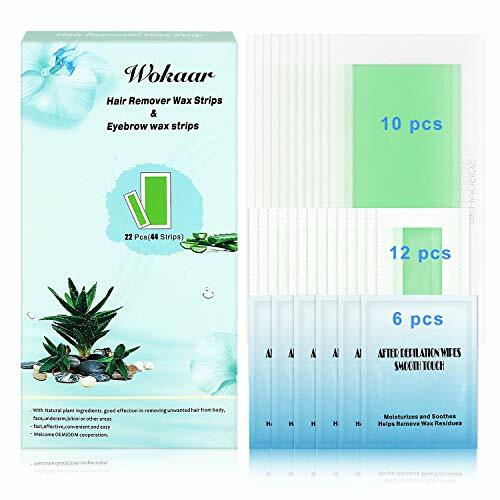 1.Various Wax Strips Size 20 large (7.2*3.5 inches) , 24 (4.0*2.0 inches) small wax strips 6 pcs specialized post wipes, to moisturizes and soothes your skin and help remove wax resides. 2.Natural Waxing Strips Ingredients: Made of high quality beewax, extact of Aloe Vera etc. Mild and gentle to skins. 3.Ready-To-Use Waxing Strips Hair Remover Kit. Easy to use. Fast and Convenient. Please cut the large wax strip to smaller pieces for usage. 4.Effective Wax Strips Kit. Removes fine and medium hair as short as 2mm for facial, bikini and body parts.Please follow the instuctions step by step. 5.Non-woven fabrics strips. The wax strips are softand flexible to conform to body curves. Meanwhile, the fabric is antibacterial, non-toxic, breathable and environmental. Wax stick to apply wax on skin, cover and press down the wax strip for seconds, then pull wax strip against the direction of hair growth, next clean the residual wax by warm water, finally you will see smooth and clean skin. 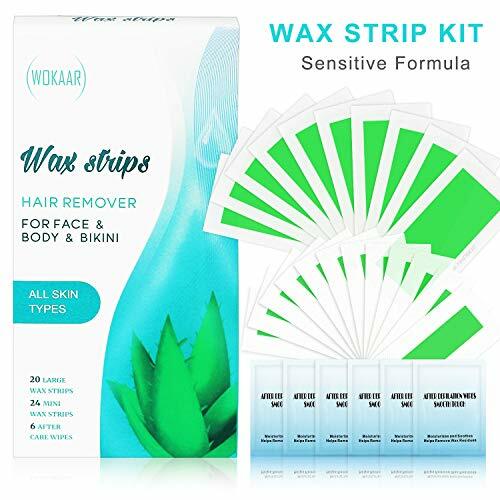 Our wax strips sticks kit works well in removing facial hair and body hair such as hair from legs, arm and bikini area, you will find its convenience when do hair removal at home. These sterilized at high temperature and can be used safely. #The wax stick is made of good quality wood, smooth without burr, would not hurt your tender skin. # The wax strip is made of non-woven material, thick and durable. Safe for sensitive skin and soft enough to conform your body's curves. #Remove your stubborn hair efficiently and leave your skin soft and glowing. # The wax strip can be cut into proper size for the area you want to apply. Please use it with hair removal wax, and hair removal wax is not included. Including small parts, keep it away from children. You should use it in small area before use so that you can make sure you are not allergic to the wax. Don't use it if your skin is sunburned or broken. Don't leave the wax on your skin too long. Clean, fast, effective, no need to wait, put on your bikini and release your beauty. High Quality: This waxing strips and stick are made by high quality paper and natural wooden. 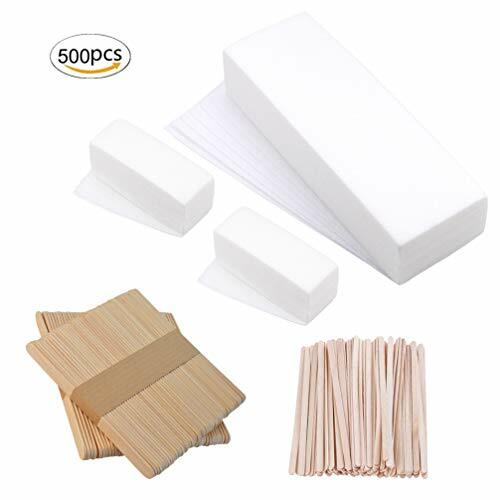 Good Quality Material: The wax strips are made of non-woven material, they are thick and durable to use, hard to tear it; The wax applicator are made of smooth wood and will not hurt your skin. Wide Usages: You can use the wax strips with hair removal wax to remove the hair you don't want to avoid the embarrassment, which is a must for your salon or daily use. 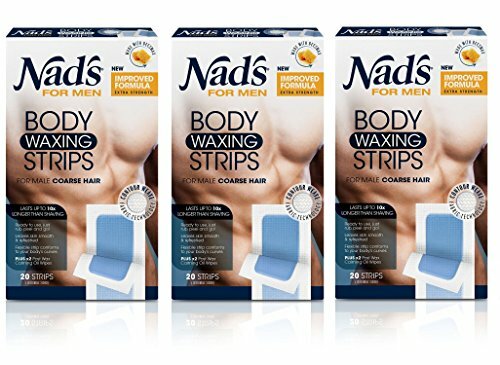 Nad's for Men Hair Removal Strips with cooling peppermint are a fast way to remove unwanted hair for a smooth finish. With innovative new contour weave fabric technology the strips conform to the curves of your body for complete coverage in all tricky areas. 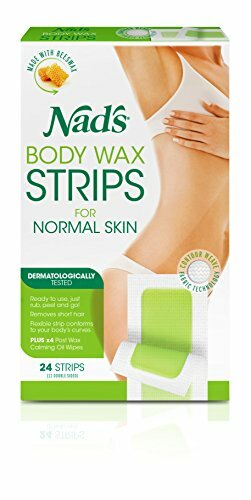 Nad's Body Wax Strips, are the quick and easy way to keep your skin hair free and smooth for up to 8 weeks. Suitable for legs, arms, chest, back and shoulder. With regular use, hair growth is progressively slowed down. 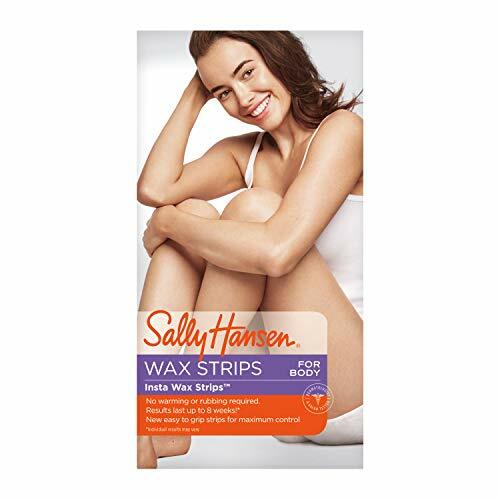 Sally Hansen's new wax strips for face and bikini, ideal for first time self-waxers. Strips are ready to use instantly. Just peel apart and apply, no rubbing or warming needed.